I’ve always defined nihilism not as “believing in nothing” but “not believing in the value of anything.” Subtle difference. You can’t not believe in reality and exist for long. You can however claim, like the Russian nihilists did, that nothing has any meaning and you might as well just do whatever. Then there’s the Vijay Prozak definition, which is that we should just do away with belief in judgments made by others, and stick to strict logic and the clear differences between stupid and genius actions. Rejection of all inherent value frees us from a fascination with both materialism and moralism. These beliefs assert that what exists has ultimate value, and therefore that it is an end in itself and not a means to a life process. Nihilism asserts the opposite, and thus begins a path which leads us past fear of death to a heroic worldview. In a diseased time, such as the current era, the individual is constantly assaulted by a barrage of imaginary reality, including morality, politics, economics and social factors. Any mind which wishes to become aware beyond this barrage must find a persistent means of removing this, and the best method is nihilism: denying all value except the meaning of experience and outcome. Most belief systems operate by establishing some form of “objective” linear truth by which adherents must abide, and thus proscribe nihilism as a destruction of all that holds such belief systems together. The proper name for this form of belief system is politics, as it operates by inducement and coercion to create uniform behavior among a disparity of people. From the point of view of such systems, there are two realms for the human individual, the subjective (mind) and objective (body), so divided because the subjective is limited wholly to the perceptions of the individual, and the objective to physically verifiable events such as the realm in which the body exists. The derivation of truth, and attainment of goals in the language of truth, is a process of uniting mind and body that transcends subject/object division. These perceptions are not objective in that they originate and end in the individual, but are stimulated by and acted upon within objective space. The individual, and its thoughts, are part of the mechanism of life. For this reason, moral distinctions such as “mind your own business” and “thou shalt not kill” are meaningless, since they presuppose the barrier between subject and object, and mind and body, to be absolute. In the modern (post-liberal) view, at this point humanity would diverge into as many different goalsets as exist individuals, but to an idealist, because all values are based on adaptation to the same objective reality, what is present are many viewpoints with the same basic values interpreted according to the ability of each individual. “Rationality” is a word used to express the degree of correspondence between an intended course of action (mind) and its consequences (body). Much as a highly refined mind can describe the structure of an idea, or predict the results of an experiment, or throw an unhittable pitch, rationality varies with intelligence, experience and discipline of the individual. This line of thought shows the idealist how there is only one reality, often called “ultimate” reality, based in the physical world, including the workings of each mind with its specific degree of rationality. It is known to us through metaphor, meaning the consistency of its operation according to abstract rulesets, and therefore whether its mechanism is mind or body is irrelevant; its operation can be measured and predicted without knowing its composition. In this piece, he differentiates between human judgments which are subjective and designs, patterns, mechanisms which are objective. His point is that a nihilist reduces the value of everything so he can re-assess it all, saving the latter and pitching out the former. Interestingly, this piece also describes nihilism as an esoteric philosophy. It’s a gateway to other ideas that removes the human illusion, lets us see “ultimate reality,” and then see how the world is mind-correlative or “idealistic,” (see The Cambridge Dictionary of Philosophy, whose entry for “idealism” is excellent). Then, the logic goes, once we’ve seen that physical reality and thoughts use the same abstract organizational system — what Plato refers to as “forms” since they are neither material, nor judgment, but composed of matter and recognized by judgment — we become realists, or those who see reality and want to make it function on its own terms, because we realize that addressing reality on anything except its own terms is delusional activity. 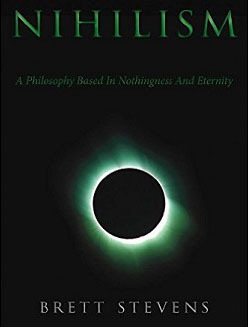 Nihilism remains one of the most controversial topics of the modern era, for a good reason: science has supported a form of nihilism by steadily revealing more of the underpinning behind natural processes, making things that once seemed to be unique objects appear as a collaboration of different effects. Slowly the post-animist ideas of the things we refer to with nouns being unique and of a consistent content are being exposed as structures of granular objects intersecting according to natural laws and constraints. This process threatens many of the social and emotional constructs used commonly in human society with a destabilization based not in the threat to the concept in question, but to the concept archetype from which those concepts emerge. Despite this recent condition, nihilism is an eternal question in the human experience. As the definition above illustrates, there is a split in the meaning of the word. 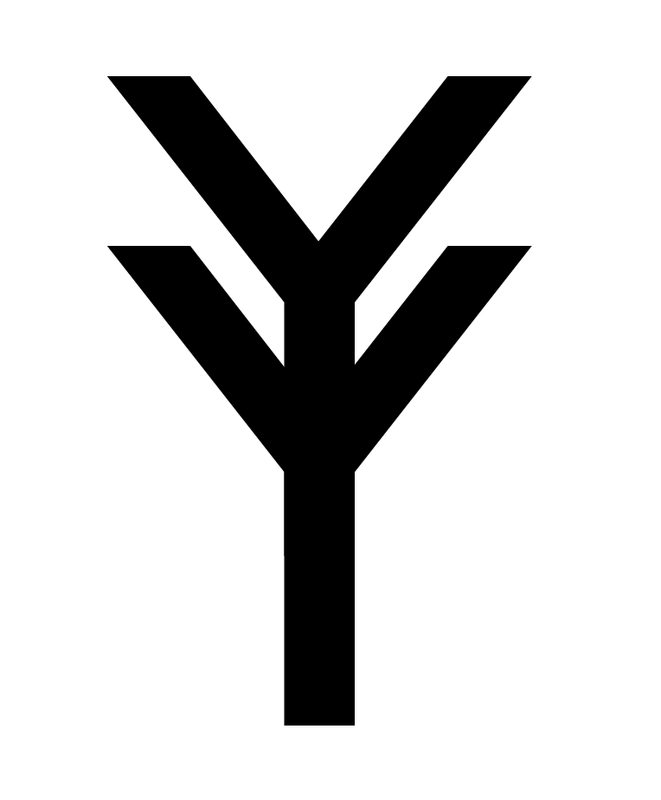 The most common meaning in our current society is a conflation of the lack of inherent value with a fatalism and aimlessness in intellectual choice-making; the second meaning is one in which an epistemological sandblaster is applied to all new input to remove social, mental, moral, emotional and political conditioning from the meaning, perception and differentiation of objects. It is the second meaning in which the word is used here, since fatalism and passivity are so well known as separate phenomena there is no need to confuse them with what can be revealed as a separate phenomena. As research probes further into the complexities of the human mind, it becomes clear that the mind is far from being a composite thing which is an actor upon its world through thoughts; rather, thoughts compose the mind, in the form of connections and associations wired into the tissue of the brain, creating circuitry for future associations of like stimulus. The schematic of this intellectual machine builds separate routing for situations it is likely to encounter, based on grouped similarities in events or objects. In this view of our computing resources, it is foolish to allow pre-processing to intervene, as it creates vast amounts of wiring which serve extremely similar purposes, thus restricting the range of passive association (broad-mindedness) or active association (creativity) possible within the switching mechanism of the brain as a whole. The “positive” effects of nihilism on the mind of a human being are many. Like the quieting of distraction and distortion within the mind brought about by meditative focus, nihilism pushes aside preconception and brings the mind to focus within the time of the present. Influences which could radically skew our perceptions – emotions, nervousness, paranoia, or upset, to name a few – fade into the background and the mind becomes more open to the task at hand without becoming spread across contemplations of potential actions occurring at different levels of scale regarding the current task. Many human errors originate in perceiving an event to be either more important than it is, or to be “symbolically” indicative of relevance on a greater scale than the localized context which it affects, usually because of a conditioned preference for the scale of eventiture existing before the symbolic event. Nihilism as a philosophical doctrine must not be confused with a political doctrine such as anarchism; political doctrines (as religions are) remain fundamentally teleological in their natures and thus deal with conclusions derived from evidence, where nihilism as a deontological process functions at the level of the start of perception, causing less of a focus on abstracting a token ruleset defining the implications of events than a rigorous concentration on the significance of the events as they are immediately effecting the situation surrounding them. For example, a nihilistic fighter does not bother to assess whether his opponent is a better fighter or not that the perceiving agency, but fights to his best ability (something evolution would reward, as the best fighter does not win every fight, only most of them). As a result of this conditioning, nihilism separates the incidence of events/perceptions from causal understanding by removing expectations of causal origins and implications to ongoing eventiture. This may seem like a minor detail; it is. However, it remains a detail overlooked by the Judeo-Christian “Western” nations, and as a result, our cognitive systems are bound up in conditioned preconception and moral preprocessing, separating us all too often from a pragmatic recognition of the course of change brought about by events, and thus hamstringing our ability to give these events context in processing. Consequently, forms of social and political manipulation remain unchecked because to people conditioned in this form of perceptual preprocessing, the error of this poor mental hygiene is not only invisible but essential for cognitive process. Nihilism is the theory that meaning beyond the immanent is irrelevant. Nihilism is the foundation of objectivism. Through removing external value one sees what is actually there, which, given the workings of the universe, has equal value and is thus equally impermanent. The brand of nihilism that we advocate is not merely a flippant rejection of societal norms or an angry reaction caused by being powerless under the weight of a capitalistic society whose leaders alone determine values, potentials and human futures based on their economic reward to those in power. Rather, our nihilism is a cautious and studied result in which every value asserted by society has been inspected and has never failed to ring hollow. So that’s how nihilism is defined in Prozakhistan. What are other definitions? Nihilism (from the Latin nihil, nothing) is a philosophical position that argues that existence is without objective meaning, purpose, or intrinsic value. Nihilists generally assert that objective morality does not exist, and that no action is logically preferable to any other in regard to the moral value of one action over another. Nihilism does not deny existence is without objective meaning, purpose, or intrinsic value; it denies that existence is without anthrocentric “objective” (subjective, moral judgment) meaning, purpose, or intrinsic value (moral value, from moral judgments). Nihilism denies the should/ought in favor of the is/could be. While the article makes a good point that nihilists deny that any action is morally preferrable to another, the big point that it misses is that nihilists deny morality (should/ought) in favor of practicality. Nihilists can believe in the value of life so long as it is not anchored in human judgments, but in logic and immanent values (Platonic forms). Nietzsche noted the “death of God” and the atrophy of traditional absolutist morality in his time. However, he never advocated nihilism as a practical mode of living and was typically quite critical of what he described as the more dangerous nihilism, the rejection of the material world in favor of a nonexistent “heaven”. His later work displays a preoccupation with nihilism. Nietzsche characterized nihilism as emptying the world and especially human existence of meaning, purpose, comprehensible truth, or essential value. He hints that nihilism can become a false belief, when it leads individuals to discard any hope of meaning in the world and thus to invent some compensatory alternate measure of significance. Nietzsche used the phrase ‘Christians and other nihilists’, which is consistent with Christianity in general as Nietzsche describes nihilism, though as nihilism is now commonly construed, Christian philosophy is its opposite. God, as separate from material life, was what replaced the traditional morality, which was a form of moral attention and not a moral binary, mirroring dualism of heaven and earth, of good and evil. The word nihilists use for Nietzsche’s nihilism is “fatalism,” meaning people who believe life is pointless and need to reward themselves with little uplifts: pity, material rewards, religious promises, political identities. Fatalists are common and show up in just about all forms. Negative Nihilism: Removal of all value, including the ability to have value. Positive Nihilism: Removal of all non-inherent valuations (judgments, categories, social logic) so that immanent values can be perceived and reconstructed. Positive nihilism is found in agnostic, atheist, Hindu, Buddhist and pagan value systems. We so need the lie drug. The collective desperation for myth is palpable… send us a savior to correct our behavior! Anyone who can live without the lie drug is a true nihilist. A nihilist can interface reality with all its beauty and unpleasant consequences with their personal sense of the tangible because the two are the same. The search for collective myth, in the Joseph Campbell sense, is a cornerstone of postmodernism. People cannot connect the past to the future, so have no idea what to do in the present. I think what Freydis is describing, however, is what Prozakhians would refer to as “social reality,” or the network of social half-truths we use to describe reality in quasi-euphemism, hiding that which threatens the human individual so we can all just get along. It’s formed of good intentions; it has the worst results, like all good intentions not mated to hard, scientific-philosophical reality. Nihilism has both a metaphysical and a moral meaning. Metaphysically, it means that nothing is, i.e., not that there is absolutely nothing, which would be absurd, but that there is no unchanging ground, no eternal God or Being such as the Western tradition since Plato has imagined to underlie the flux of experience. Thus, the innumerable things that according to our experience so evidently â€œare,â€ in fact only seem to be and are actually constantly changing, constantly becoming something other than what they are in a chaotic and utterly unpredictable way. Without some unchanging ground or foundation to this flux, however, it is difficult to see how truth, justice, and morality are possible. Postmodernism, after all, is the search for a narrative. In this flux, we have no center — like the sun rotating around the earth — on which to base our need for morality and truth, justice, etc. Of course, we could just look at nature, see how it works, and then state our preference for which of the possible outcomes to our actions we would prefer. We might even find a “meta-value” better than truth, justice and morality. “Say, ‘who respects nothing,’ ” put in Pavel Petrovitch, and devoted himself once more to his butter. “Who treats everything from a critical point of view,” remarked Arkady. “And isn’t that exactly the same thing? ” inquired Pavel Petrovitch. “And dost thou think that is a good thing? ” interrupted Pavel Petrovitch. ” Nihilists,” replied Arkady, with distinctness. Early in the nineteenth century, Friedrich Jacobi used the word to negatively characterize transcendental idealism. Wait, transcendental idealism? Where did we last hear of that… oh, it’s what Vijay Prozak was endorsing. Why was he doing that? Because transcendental idealism, like Plato’s cave-dwellers seeing sunlight for the first time, is a scientific form of transcendentalism, one that denies values in favor of looking at reality itself, adapting to that reality, and finding beauty within it instead of projecting beauty or the human form upon it — and thus requiring its destruction (dominance of nature leading to ecocide). Their definition is partially correct. All values are baseless — unless corresponding to reality. And here we come full circle with our definition of nihilism: in a dying time, when values are bad and have become divorced from reality, nihilism is like the wolves that gather to carry away the weak and diseased, to slaughter the unwary and oblivious, and in general to do horrible things to individuals that strengthen the population as a whole. Clearly humanity — with seven billion people, and only a half billion capable of an occasional clear thought or sincere intention — needs nihilism now and urgently.